Dr Eva Orsmond is extremely passionate about empowering sufferers to take control of their health and has successfully helped her patients to reverse their type 2 diabetes through diet, supplements and hard work. In her latest book, she shares her complete diet plan for reversing the disease. Including over 60 recipes, the book also provides lots of information to help you to adjust your diet and take control of your blood glucose levels. By following Dr Eva’s four phase diet plan you will remove fat from your pancreas, potentially allowing you to come off diabetes medication and move into maintenance for life. Based on the latest medical research, and using case studies from Dr Eva’s own practice, the book is a must-read for anyone suffering from the disease. Most supermarkets now stock a variety of wraps, but many of them are made from white flour. Check the ingredients and choose one with only wholemeal wheat flour. This simple yoghurt-based take on the more traditional sour cream gives you all the flavour with half the calories, but not with any more sugars. Mix the yoghurt with the crushed garlic and Herbamare salt. Cover and set aside in the fridge until ready to use. Melt 1 teaspoon of the butter in a non-stick pan. Add the chicken and fry until cooked through, then remove from the pan. Cook the peppers and onion in the same pan until crisp. Keep warm. Heat the remaining teaspoon of butter in a chargrill pan. Press the cooked chicken fillets on it to give them charred lines on both sides. Add the tortilla wraps to the hot chargrill pan for a few seconds just to warm them up, taking care not to burn them. 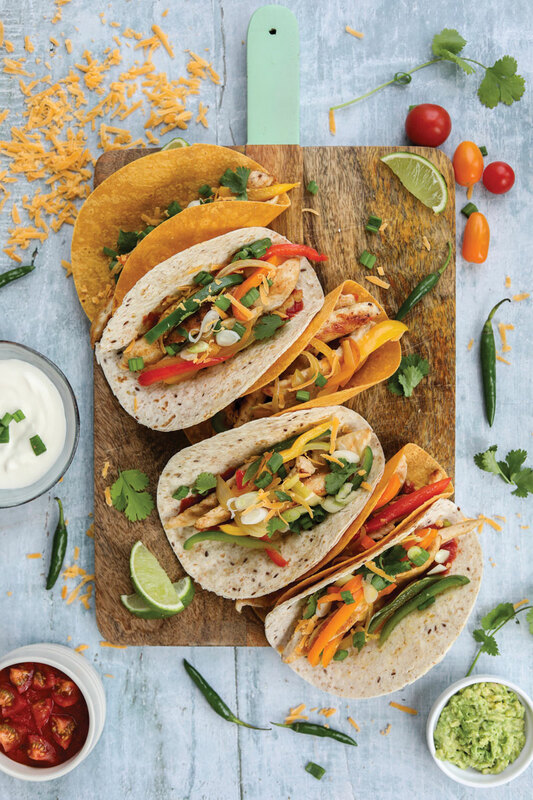 Assemble the cooked chicken and vegetables in the middle of the wraps. Add the yoghurt dip, salsa, grated cheese, lettuce and soy sauce. Spoon in some guacamole and sprinkle with chopped fresh coriander (if using). Tightly roll up each wrap to close. Serve with a large side dish of vegetables or salad and lime wedges. 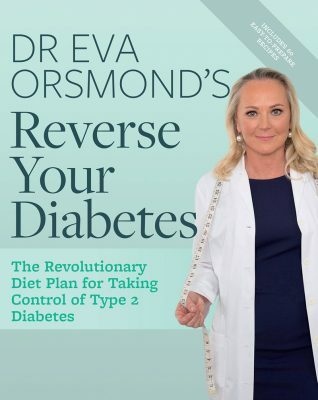 Reverse Your Diabetes – The Revolutionary Diet Plan for Taking Control of Type 2 Diabetes is published by Gill Books, €19.99 Dr Eva’s diet plan is to be used under medical supervision.